Bangkok is one of the most beautiful place in the world where you can shop, relax and sightseeing. There is lots of things in Bangkok attracting more travelers to get around neighborhood. 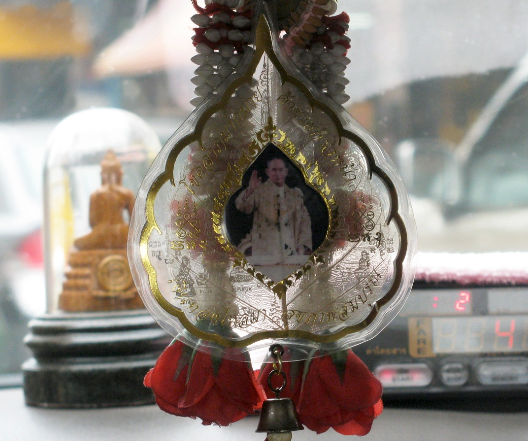 When riding through taxi cabs in Bangkok, the passenger could observe unique decorations made in taxi’s dashboard. 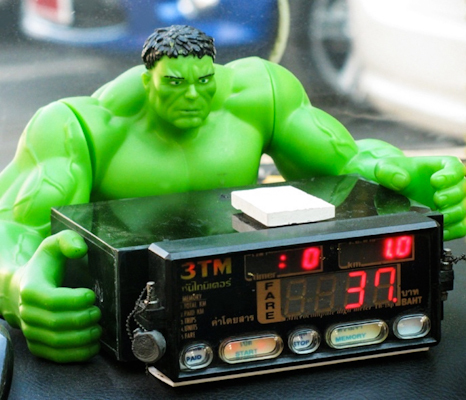 Thai taxis are typically having religious objects that include Buddhas, Talismans, monks , The Hulk, Winnie the Pooh are decked inside the taxis. 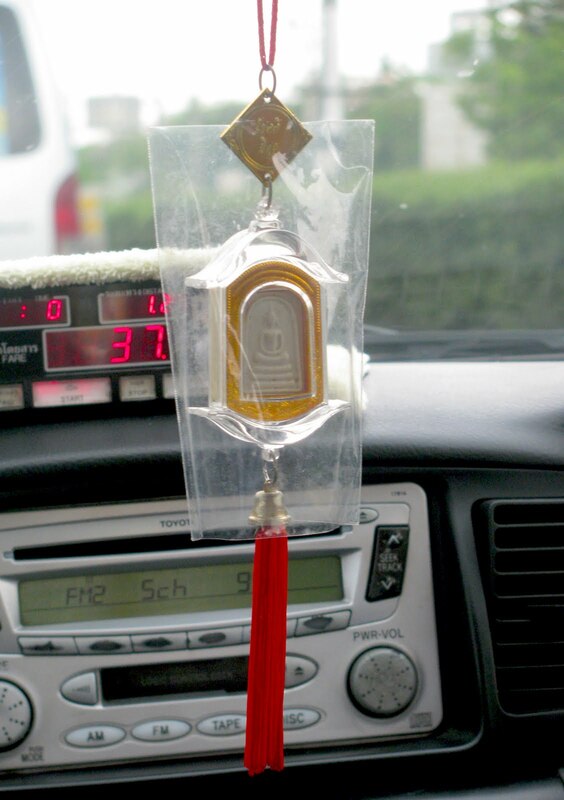 Thai cabbies believe that these objects will protect their lives and create good luck within the confines of their work environment. Bhumibol Adulyadej is a king of Thailand also know as the father of the Nation. Thai taxi drivers having deep love and respect for their king. Still, you can find statues and stickers in many vehicles and taxi’s dashboard. 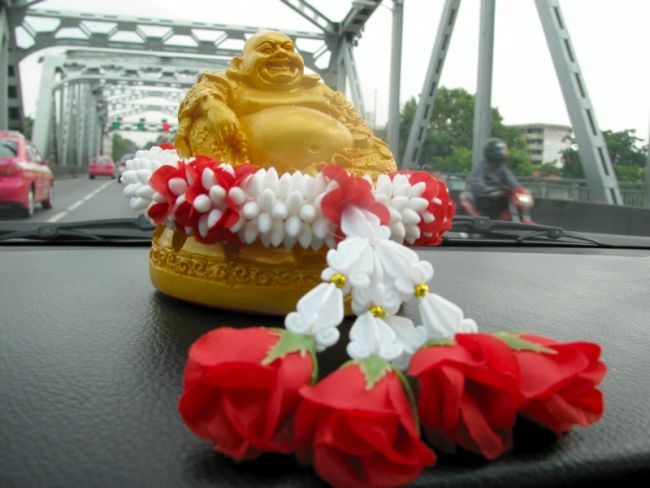 A Fatty and happy Buddha image adorns the dashboard of a Bangkok taxicab. Taxi drivers believes this will generate luck and more income. In Bangkok more often people using plastics to protect interiors. Here the cabbies even left his lucky charm in the original plastic sleeve that the seller had put it in. 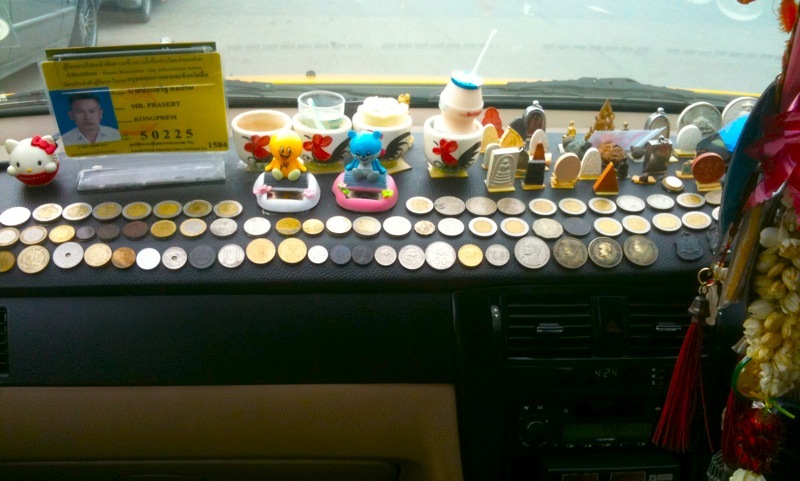 To grab the passenger’s attraction, this cabbie decorate his taxi with Thai coins. 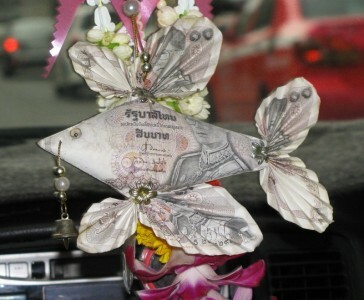 This cabbie made out a Fish decoration in Thai money.